Four photos for Grandpa to enjoy every day look great sitting inside this handsome Personalized Photo Cube for Grandpa. Our beautiful natural wood 4.5" photo cube features 4 separate photo openings measuring 2.5" x 2.5". This Personalized Father's Day Photo Cube is great for Personalized Grandpa Gifts and includes free personalization! 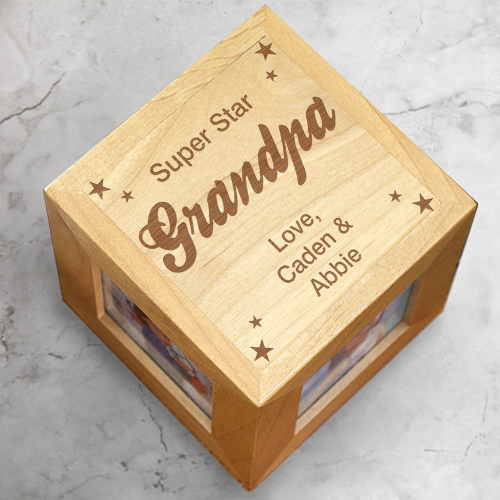 Personalize your Grandfather's Day Photo Cube with any title and Love, and up to 8 kids names. 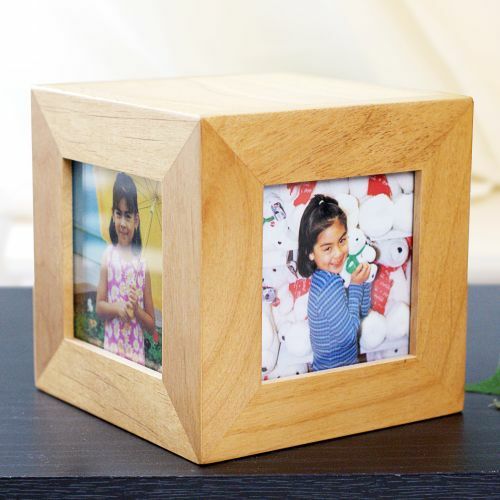 Personalized Photo Cube makes a great alternative to a photo album for Grandpa, Dad or Uncle. Check out our additional Personalized Grandpa Gifts which are available at GiftsForYouNow.com. Personalized Grandpa Gifts are perfect for birthdays, family reunions, Father's Day & Grandparent's Day.